1st September. There has been a lot of controversy over the years as to certain artists saying that they are country, but their music has little or nothing in common with what most of us would recognise as real country music. Of course they don’t care, just as long as their style of music sells well and might bring them into the pop market. Some of them, the only thing I see as ‘Country’ is their hat. 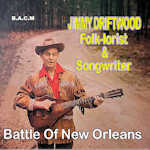 But many of the great country stars of yesterday sometimes turned to pop music during their careers – such as Frankie Laine, Eddy Arnold, Jim Reeves, Dolly Parton, Tammy Wynette, even my favourite Tex Ritter. Should these people be cut off from the being called ‘Country’ just because they strayed into pop? I guess the difference is for these stars, they had grown listening to real country and some of this stayed with them, whatever they recorded. There are fringe songs in every type of music and for me what matters is, ‘Do I enjoy listening to it?’ regardless of whether the label is Country / Western/ Bluegrass or whatever. Who cares whether Hank Williams’ Jambalaya is Country or Cajun – or even ‘Pop’ – after all the song got recorded by the likes of Pat Boone! Anyway, here at BACM we do our best to ‘Keep it country’ even though some of the recordings are at the fringes of pop or jazz. I really think that it’s the era in which they were recorded that matters most. I hope that you will enjoy this selection of songs first created from the Number One Family of Country Music. I remember well buying some Carter Family on Zonophone Records back in the early fifties, I still have them until this day. I was just a teenager hooked upon the sound of the Autoharp not really knowing what it looked like, but that I just loved the sound it made. Hence my first lesson. Number two CD of the month features a group that frequently backed up Ken Curtis. They were not a western swing outfit but more novelty like the sound of the Hoosier Hot-Shots, with some hillbilly, some comedy and even some yodeling. Fine voices and superb musicians, they could play just about anything in their style. I’d put them down as a good radio act with lots of back-chat going on in the ranks. An appealing CD and well worth the listen. Check out the girl singers, a very popular sound much alike to the Andrew Sisters. Finally we have a fine vocalist in Dolph Hewitt who could do crooner country as well as the best of them. 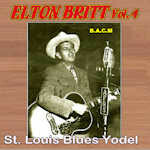 But he wasn’t always a country singer as a part of his career he was the lead vocalist with big bands of the day. We have included a couple of tracks so you might hear that side of him. 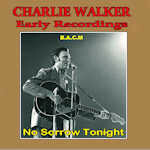 At least one 78 was issued on HMV records back in the late fifties/early 60s. I bought this as well as the Carter Family items and still has a place on my shelves nearly 60 years on! We now have a printed catalogue out with all our CDs listed which we are posting out to new customers and to our subscribers (Archive Buddies). If you are not yet a subscriber maybe consider becoming one. You will receive each month’s three new CDs at roughly half price – a surprise package dropping through the letterbox at the beginning of each month. Subscribers also gives you access to the back catalogue (over 600 CDs, all types of country music from the 1920s on to the early 1960s)at specially reduced prices. 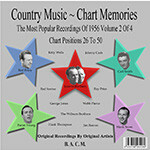 And if 1950s/early 60s popular country is your scene there is our new Country Memories which will showcase the Top 100 country songs for each year from 1950 to 1962, four CDs for each year. These are available at only £5 per CD for Archive Buddies, which is half the normal price. So far we have issued years 1958 to 1962 with more to follow. So it’s just about goodbye to the summer and on to our next headache, Christmas. Don’t worry it will be here sooner than you think – but on the plus side it will be gone as soon it came.